Robert Falcon Scott’s race to the South Pole was one of exploration’s biggest screw-ups. 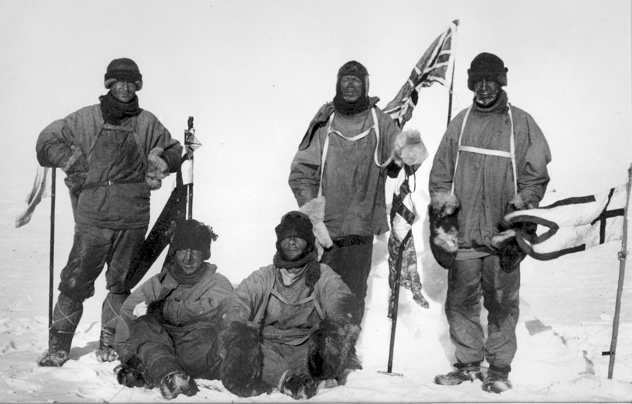 Not only did his team fail to claim the Pole for the British; they were pinned down by a ten-day blizzard on the way back and froze to death. Crappy luck doesn’t come much crappier than that. Unless, that is, there was no blizzard. In 2001, science writer Susan Solomon caused a stir by claiming the ten-day storm was impossible. See, Antarctic weather follows some pretty neat patterns: when cold air builds up above the continent, it creates a sort of ‘reservoir’ that overflows, causing storms. When this ‘reservoir’ is empty, the storms let up. In decades of measurements this has never taken ten days. Even more damning, any super-storm that hit Scott should have by rights continued on to the coast. Except another team was taking measurements down there and recorded no indications of a storm raging inland. So what happened? According to the theory, Scott was so upset about losing the race that he and his teammates committed suicide, filling their diaries with stories of an impossible storm to hide the dismal truth. In 1999, a series of explosions shook Russia. 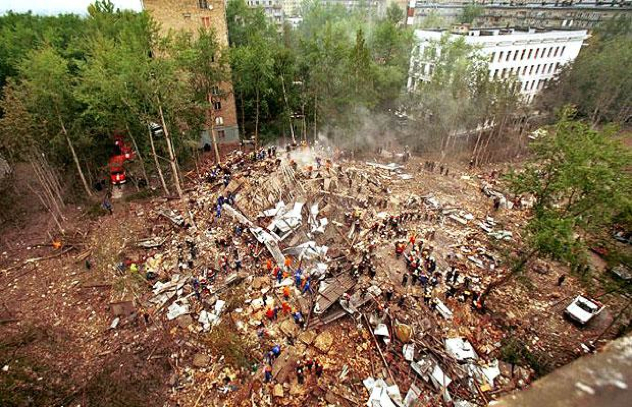 Gigantic bombs planted by Chechen terrorists leveled entire apartment blocks and killed nearly three hundred people. In the aftermath, Russia launched the Second Chechen War, and the rest is history. Except for the part where the FSB (the sequel to the KGB) deliberately bombed its own people. Now, theories like this emerge in the aftermath of any tragedy, but for once there’s actually some evidence to back it up. Firstly, the terrorists denied any involvement in the attacks—an unusual response given that they’re, you know, terrorists. Secondly, high-ranking ex-FSB defector Alexander Litvinenko claimed it was all a cover-up. That’s the same defector poisoned in 2006 with polonium-210, a death so unlikely under any other circumstance they might as well have carved ‘The Kremlin woz ere’ into his chest. Add to that the suspicious assassination of a journalist who investigated the claim, and it’s easy to see why this particular theory is still around. 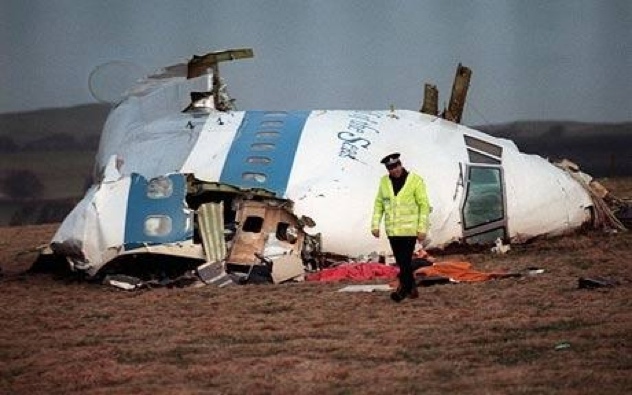 In 1988 Pan-Am flight 103 detonated in the skies over Scotland, killing everyone on board and raining deadly-wreckage down on the village of Lockerbie. Thirteen years later, low-level Libyan intelligence officer Abdel Baset al-Megrahi was convicted of the bombing and imprisoned. And there the case would have ended, were it not for the enormous pile of evidence indicating that the attack was really carried out by Iran. In 1988, Iran was still reeling from a tragedy of its own: five months earlier the US Navy had shot down a civilian plane carrying 290 Iranian citizens, killing them all. In the immediate aftermath, the Ayatollah vowed retaliation, promising ‘the skies will rain with blood’. So the motive was there—as well as the means. Weeks before the blast, a group of Palestinian terrorists was arrested with four devices identical to the Lockerbie bomb. Intelligence reports indicated that the group had strong Iran links, and that a fifth device was ‘missing’. Then there’s Libya’s lack of motive, coupled with the unlikelihood of a single intelligence officer being able to carry out such a complex attack under his own steam. So why didn’t we pin this on Iran decades ago? The short answer is: no-one knows. 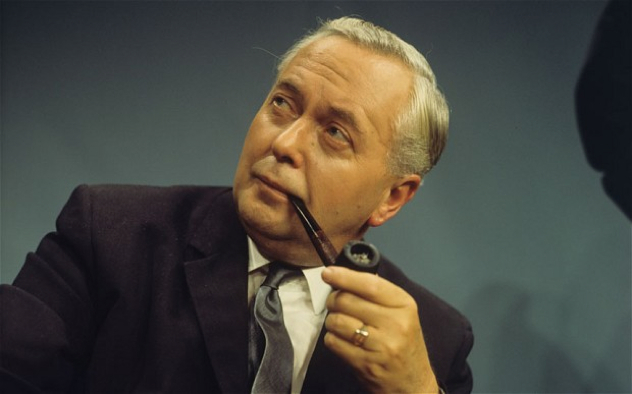 Harold Wilson was twice-elected Prime Minister of Great Britain and a mild social reformer. According to some sources, he was also an undercover KGB agent tasked with . . . well, no one’s actually sure. Giving people something to talk about before Thatcher came along? What’s interesting about this theory is that almost everyone believed it—and this certainly had some bizarre consequences. When a high-ranking Soviet defector claimed the Prime Minister was a Russian stooge, MI5 immediately opened a file on him. By the time 1974 rolled around, the military was so sure he was a traitor that they came within months of staging a coup d’état backed by the freakin’ Royal Family. According to the BBC and the Guardian, army brass planned to seize Heathrow, the BBC and Buckingham Palace and force the Queen to read a speech asking people to support the new military junta. Bear in mind that this is Britain, not some banana republic—and these guys were honestly considering the pros and cons of going full General Franco. And all to remove a Prime Minister who resigned for health reasons a few weeks later anyway. Nixon is probably the most unpopular president in history. Aside from once nearly putting a hit out on a journalist , he was also at the epicenter of one of the few scandals in history where the conspiracy theorists were probably right. And I’m not talking about Watergate. The 1968 Presidential campaign was fought on a knife-edge. The Vietnam War had become an abattoir for America’s youth and everyone wanted the damn thing over and done with. So when the two sides came to the negotiating table in the dying days of LB Johnson’s presidency, it looked like a great boost for the Democrats. Then, on the eve of the election, the South Vietnamese pulled out the talks. Bummer, eh? Well, not quite: according to a cache of recently-released tapes, Johnson was certain Nixon was involved. As in, he’d deliberately sabotaged the peace process and then lied about it to give himself an electoral advantage. If this were true (and there’s a ton of evidence supporting it), that would mean Nixon committed treason, sentenced hundreds of thousands of kids (both American and Vietnamese) to violent death, and wrecked the lives of millions more—all so he could be king of the castle. 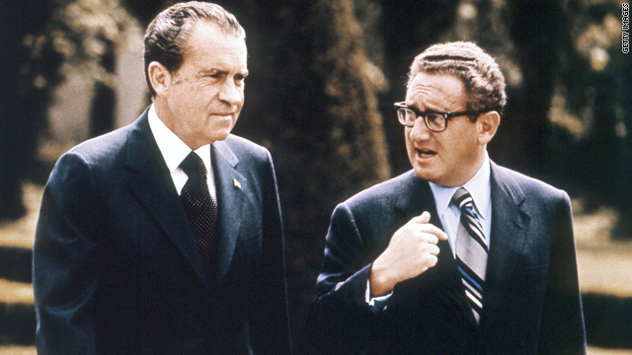 Could even Nixon be that flagrantly psychopathic? What do you think? 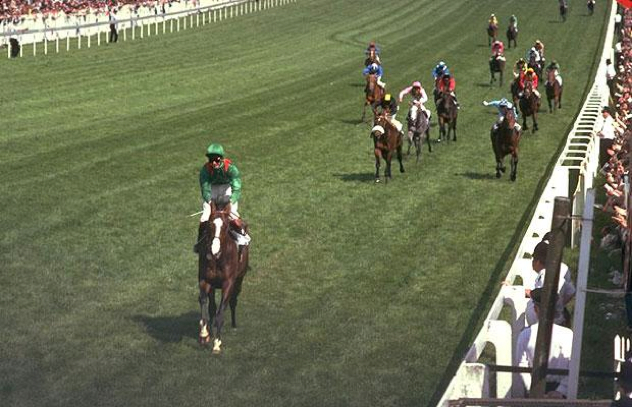 In 1983, a group of armed men burst into the Ballymany Stud in Co Kildare, Ireland and kidnapped the prizewinning racehorse Shergar. After loading him into a trailer, they drove off into the morning mist and the horse was never seen again. So what happened? Well, there are a number of theories, but only one likely one: that the IRA killed him in a botched ransom attempt. While nothing’s been proved, there’s quite a bit of testimony. IRA informer Sean O’Callaghan claimed Shergar was kidnapped to raise money for arms, while a Sunday Telegraph investigation in 2008 reported that the Army Council had the horse machine gunned and buried when they realized he was worthless. However, insurance companies have never paid out against the horse’s death, and to this day his disappearance officially remains a mystery. 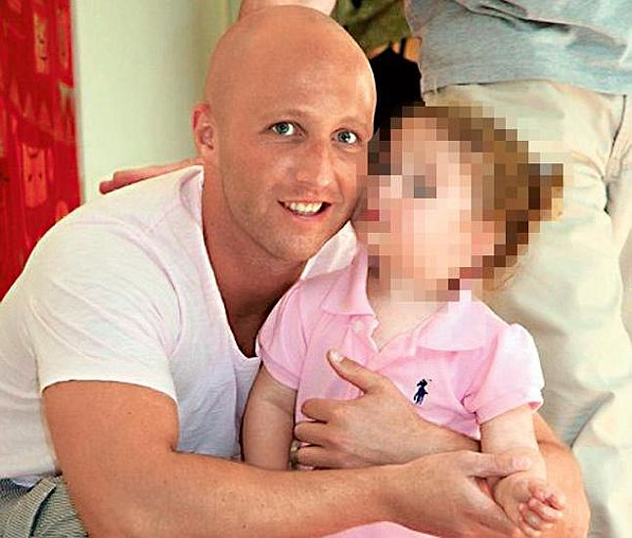 In 2010, an inmate at a maximum-security Israeli jail hanged himself, triggering a flash flood of accusations, revelations, and bizarre conspiracy theories. Articles linking ‘Prisoner X’ to Mossad, Hezbollah, and Australian Intelligence surfaced, alongside accusations of Israeli foul play. At the time of writing, all we really know is that he was an Australian/Israeli called Ben Zygier and probably had links to intelligence operations. But that didn’t stop Der Spiegel advancing a theory so lurid it may just be true. This conspiracy theory has it that Zygier was a former Mossad field agent who had been demoted to a desk job. Bored with his new life, Zygier set up a rogue operation to crack Hezbollah and win over his superiors. So far, so John le Carre. But what allegedly happened next is full-blown Hollywood. An agent Zygier recruited from Hezbollah turned double agent, reporting back to Lebanese Intelligence. This in turn led to the arrest of several high-level Israeli spies in Arab nations, and a rush to find the mole at Mossad. All told, Zygier was allegedly responsible for the biggest information leak in Mossad’s history; leading to a prison sentence so harsh he saw only one way out. Could such a pulpy story possibly be true? You decide. The CIA doesn’t exactly have the most level-headed history, so when talking about CIA conspiracy theories, you have to bear in mind there are literally hundreds of them. And some, like Operation Midnight Climax, are so well-documented they’re no longer really theories, so much as ‘the truth’. So it’s nice to know that even in our jaded modern era, they’re still capable of shocking stuff. In the mid-90s, a three part newspaper series called ‘Dark Alliance’ briefly made shockwaves throughout the media. 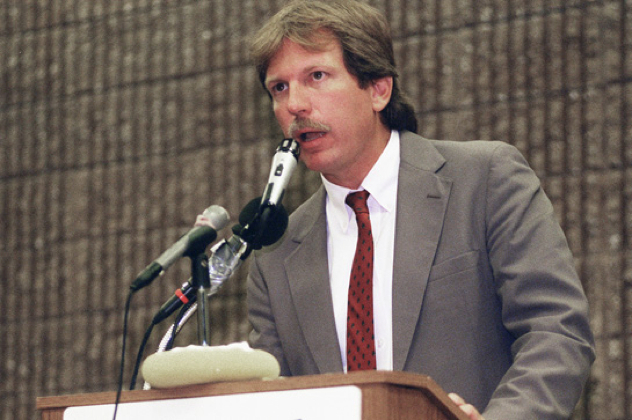 Basically, reporter Gary Webb more-or-less accused the CIA of having connections with Nicaraguan drug dealers operating in the United States. In the resulting furore, Webb was smeared in the media, and his claims that the CIA was deliberately getting African Americans hooked on drugs dragged through the mud. Only, Webb wasn’t claiming that at all. All he was doing was saying that the CIA was working with some pretty bad dudes down south—including guys who were running drugs on American soil—and that he had the proof. So what happened? The media hounded him to suicide, and everyone completely forgot about his earth-shattering story. Did he, didn’t he? 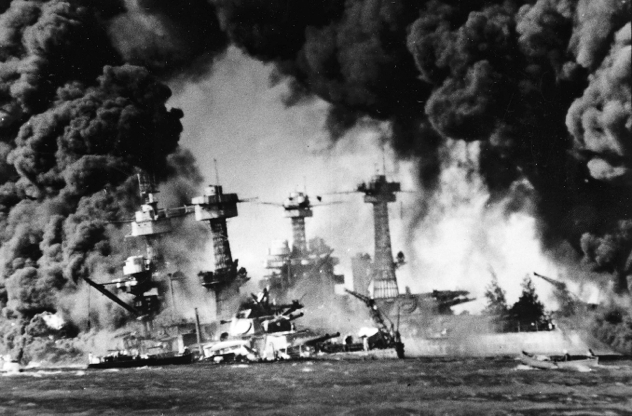 It’s one of the biggest conspiracy questions that will ever be asked: did FDR know Pearl Harbour was about to be attacked? Basically, it would be impossible to cram all the proofs, counter-proofs, and general crack-pottery into a single article entry, so I’m not even gonna try. But there’s a good deal of (non-conclusive) evidence that the British-sympathetic FDR may have known the Japanese were on the verge of launching an attack, and allowed it to happen—triggering America’s entry into WWII. Think about it: if this is true, his decision changed the course of history. Without American firepower, the Western front would have reached a stalemate at best—leaving the Russians to slap down Hitler single-handed. Without an advancing Allied army to keep them in check, the Soviets could have run riot across Europe, placing millions more people under Stalin’s control. There would have been no A-Bomb, no operation Paper Clip giving the US an edge in the space race . 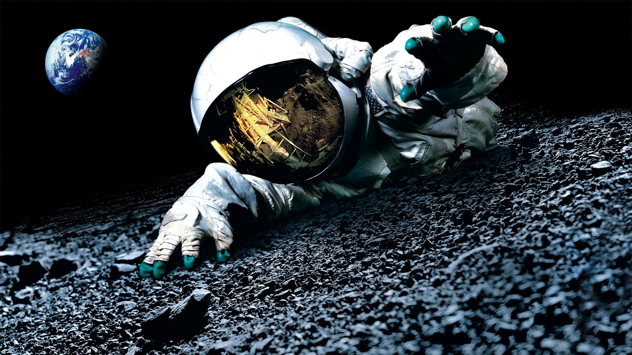 . . in short, the world as we know it would be completely unrecognizable. Now there’s a scary thought.